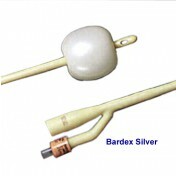 Bardex Catheter, 2 way Catheter, BUY Latex Foley Catheter, 0168L16, 0168L18, 0168L20, 0168L22, 0168L24. 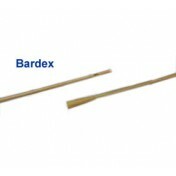 Bardex Lubricath Foley Catheters, manufactured by Bard, are coude tipped catheters with the unique Carson design. Carson catheters better navigate the urethra when BPH or a stricture is present. 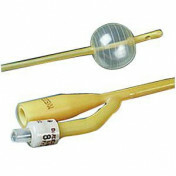 Coude catheters are also helpful for female patients, because the curved tip help to maneuver around the bladder neck. These Bardex Catheters have a hydrophilic coating that makes insertion a more pleasant experience by coating the catheter in a liquid cushion. Lubricath catheters are 2 Way Catheters made from a high quality latex that, when compared to other latex products, is less likely to cause patient irritation. Lubricath 2 Way Catheters have a rounded, short balloon that is engineered to sit better in the bladder, reducing the occurrence of leakage. 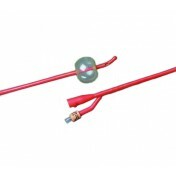 Bardex Carson catheters have a ribbed style balloon that produces traction for a better fit. Lubricath latex foley catheters are stiff enough to reduce irritation caused by improper insertion. Hydrophilic coating minimizes irritation during insertion. Coude tip assists in maneuvering past the neck of the bladder. 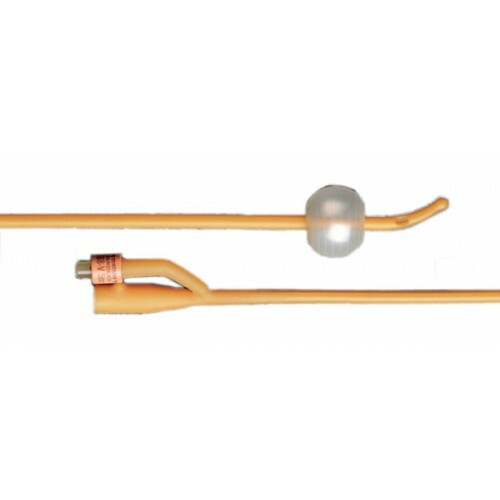 Carson model is ideal for navigating urethras affected by stricture or BPH.